Sports have a way of bringing people together in incredible ways. We all stay glued to the screens, in anticipation of what’s to come. We gather with friends and family to enjoy the entertainment that can only be generated by watching a live event, with no definitive outcome in sight. These are the moments we all cherish. And while for the most part, we have a sense of what we could see on take place, every so often we all get a chance to witness history unfold in front of our eyes. These are the types of moments we all wait for. The unpredictability of the game, and the rise and fall of some of the best athletes the world has ever seen. Some of these moments became great, simply due to their near impossible nature. While others had impacts that went even beyond the game itself, influencing various global and cultural factors. In any case, every event that has made it onto this list, is far and away greater than the norm, and has earned its spot as one of the top 21 moments in the history of sports. So sit back, and enjoy Sports Retriever’s compilation of the greatest moments in sports history. This game had it all. Prior to the game between the New England Patriots and the Atlanta Falcons, most people viewed the Patriots as big favorites. But the Falcons came out strong, dominating the game on their way to a 28-3 lead. But Tom Brady had different plans, engineering the greatest comeback on the Super Bowl stage, winning the game 34–28 in overtime. It ended up as the greatest comeback in Super Bowl history, and also was the first SB to ever go to overtime. 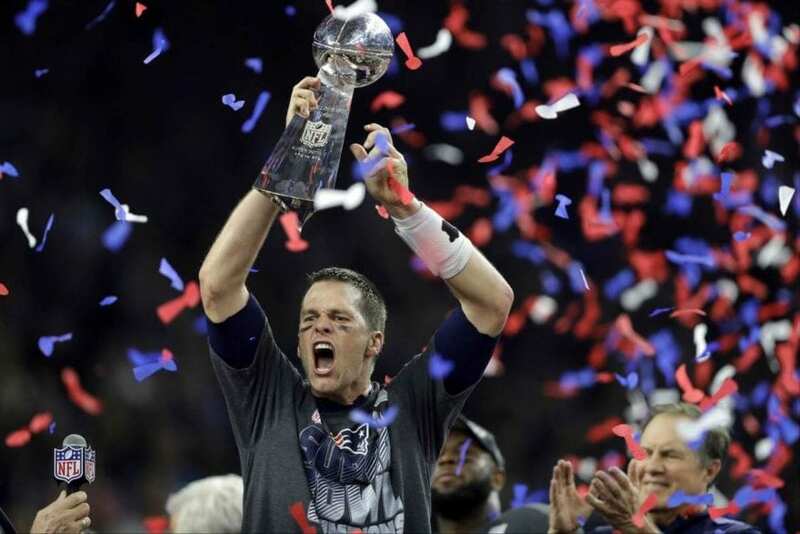 Brady ended up securing his fifth Super Bowl ring, becoming the first quarterback to achieve the feat. Sayers was one of the best running backs of all time. 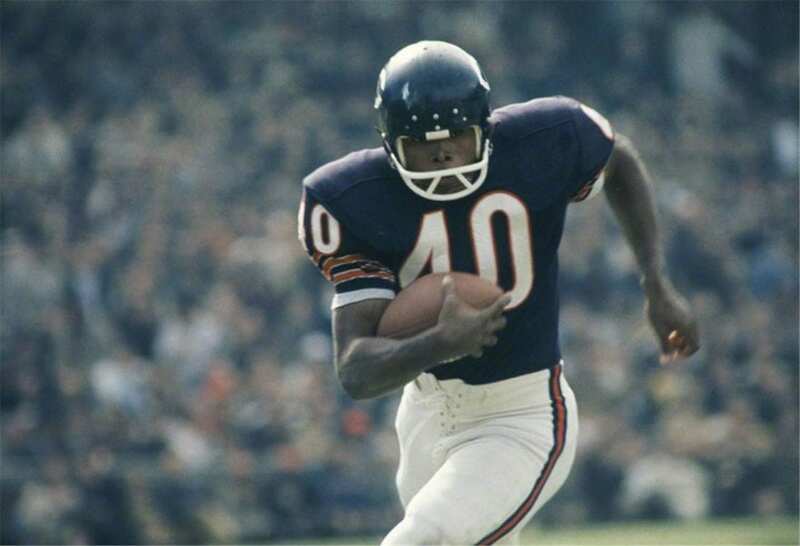 And on a December day in 1965, he etched his name in history when he scored six touchdowns in a single game. In that game, versus the San Francisco 49ers, Sayers was able to get into the endzone four times on the ground, while also adding one receiving touchdown, as well as a touchdown on a return. His efforts tied him for the most touchdowns scored in a single game in NFL history. Muhammad Ali was known for speaking his mind and talking up a storm. But he also typically backed up all the talk inside the ring. 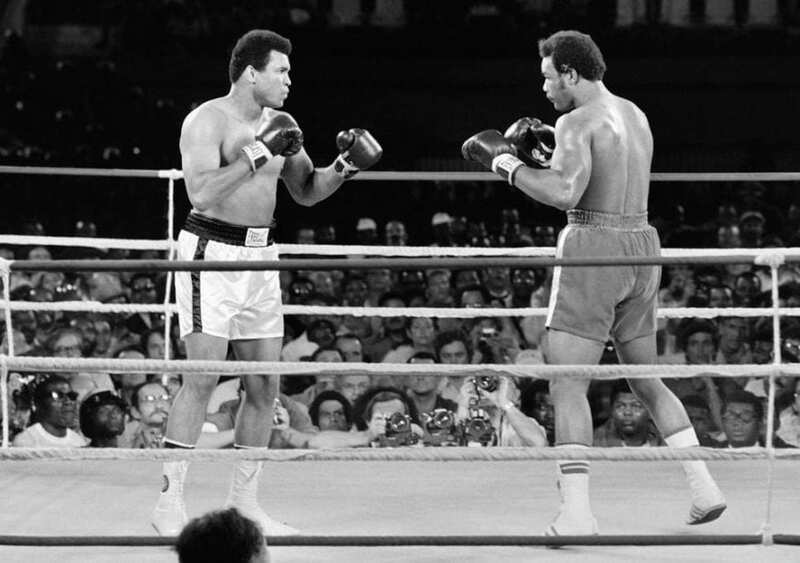 The “Rumble in the Jungle” refers to a fight between Ali and undefeated world heavyweight champion George Foreman, which took place on October 30, 1974. Ali, who was 32 years old at the time, proved his worth by way of an eighth round knockout victory, reclaiming the title from Foreman. This match received lots of attention globally, and had a full crowd of roughly 60,000 spectators in attendance. James is one of the best athletes to ever play any sport. His greatness is still being unveiled to the world. A Cleveland native in his childhood, James has always vowed to bring a championship to his hometown during his career. But things don’t always go as smoothly as we would expect. In the summer of 2016, James and the Cavs faced the seemingly insurmountable task of a 3-1 series deficit. But behind several legendary performances by The King, the Cavs came back and “stole” the title in an incredible Game 7 for the ages, becoming the first team to ever come back from a 3-1 hole in NBA Finals history. 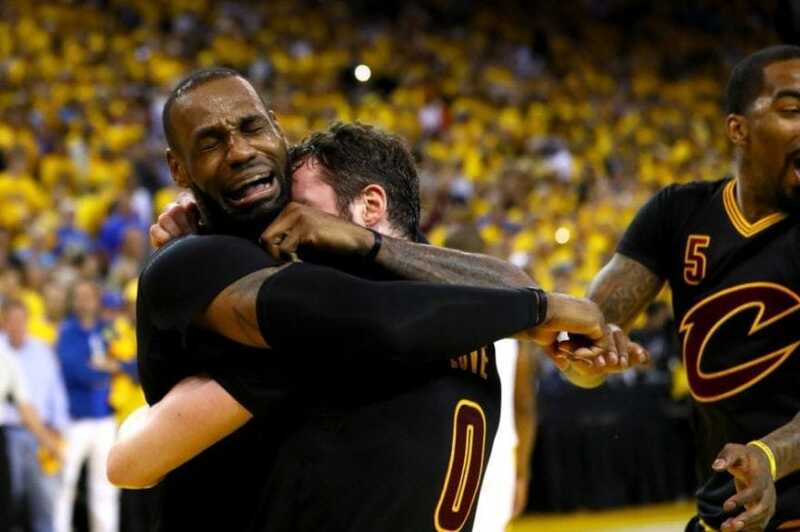 James helped to bring the city of Cleveland its first championship in 52 years (in any sport). While this was not an actual game, it was nevertheless a monumental event in the history of the NBA as well as Michael Jordan’s career. MJ took the world by storm, going head to head with Dominique Wilkins in an unforgettable battle for the dunking crown. 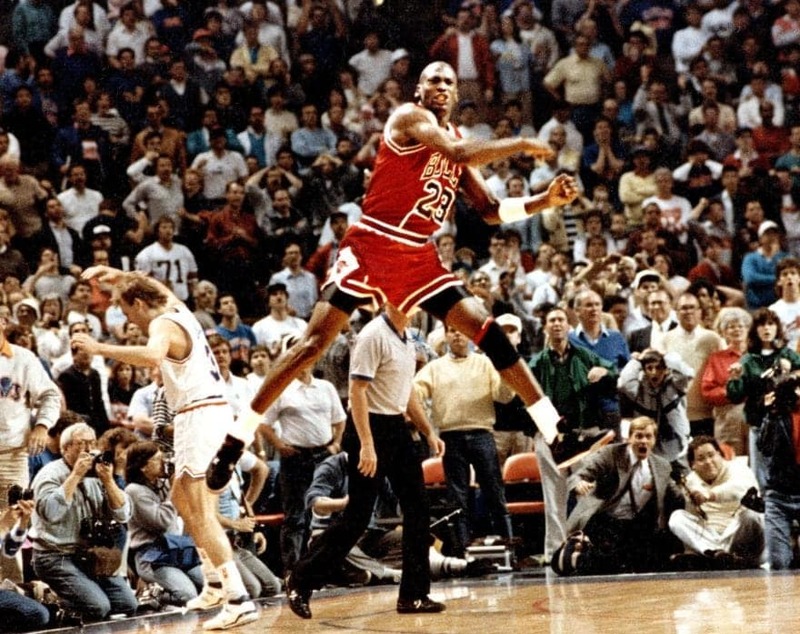 Jordan created an iconic moment when he took off for a dunk from the free throw line. 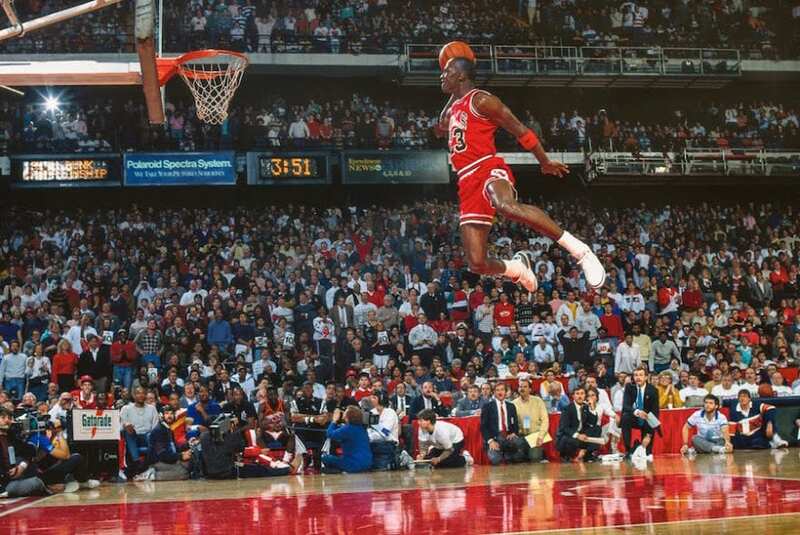 The dunk so elegantly demonstrated his incredible hang time, that it ultimately inspired the symbolic figure of the Jordan posters and his brand’s logo. 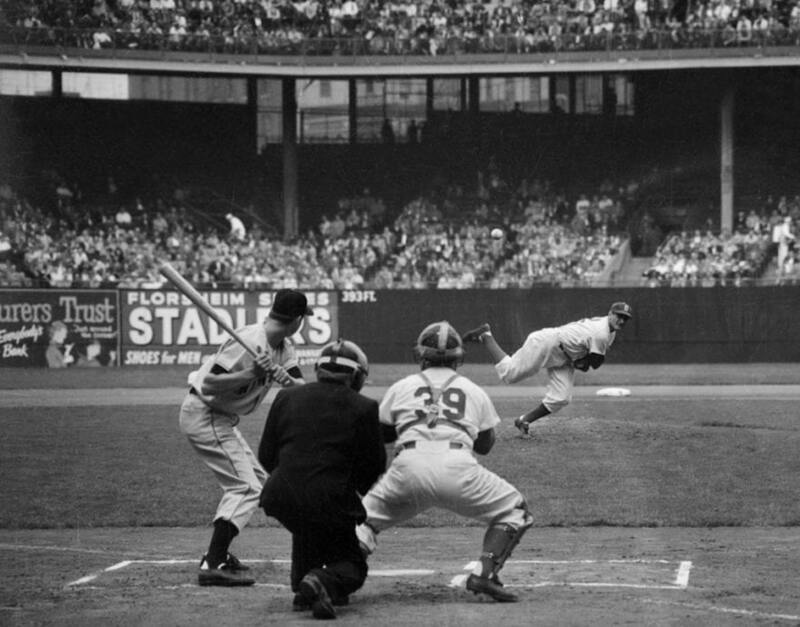 In October of 1951, the Brooklyn Dodgers and New York Giants faced off in a three-game playoff to decide the National League (NL) pennant. In the ninth inning of the decisive Game 3, with the Giants down 4-2, Bobby Thomson was up to bat. Thomson was able to hit a three-run homerun, which won the game, series, and pennant for the Giants. It was also the first ever nationally televised game in baseball history. What a time to get the cameras rolling. The 1936 Olympics in Berlin were historic for various reasons. 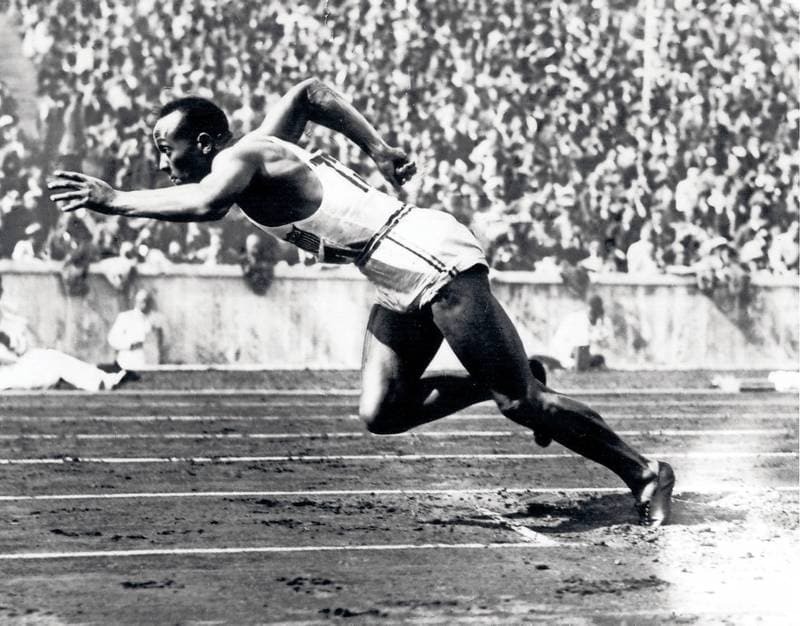 And in the midst of Adolf Hitler’s Nazi Germany, Jessie Owens had set out to disprove the latter’s theory of Aryan supremacy. Despite various obstacles that tried to prevent him from even participating in the games, Owens ultimately captured four gold medals that year – 100m, 200m, long jump, and 4x100m relay. This was such a big moment, not only due to the amazing athletic accomplishment, but as a resounding slap in the face to Hitler’s ideology of the inferiority of minorities in the region. Perhaps the biggest moment in the career of legendary quarterback Joe Montana, “The Catch” was further enhanced by the magnitude of the moment. In the 1981 NFC Championship Game, the San Francisco 49ers were trailing the Dallas Cowboys by a score of 27-21. It was then that Montana showed his greatness, driving the team down the field to set up “The Catch.” With 58 seconds left in the game, SF was facing a third down on the Cowboys six-yard line. 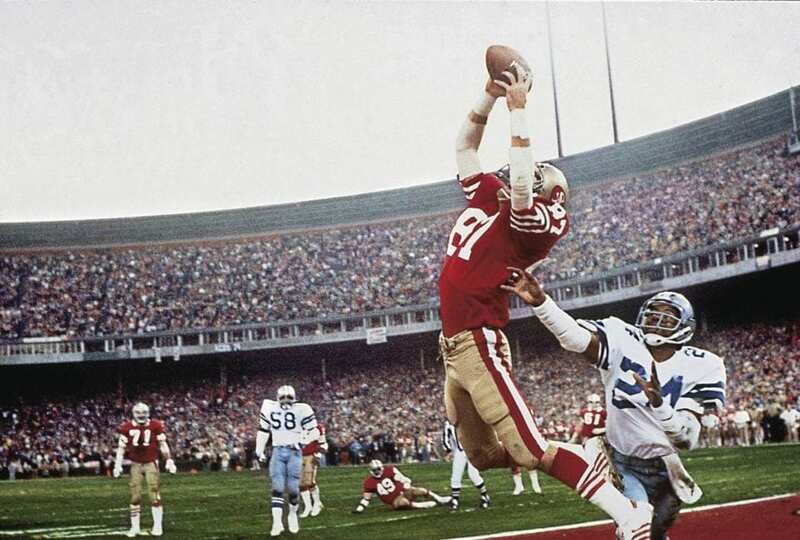 Montana snapped the ball, and eventually was able to find wide receiver Dwight Clark in the back of the end zone, who made a leaping catch to help the 49ers take a 28-27 lead. Little did they know that this would end up being one of the most memorable moments in NFL history. In the 1986 World Cup semi-finals, Argentina faced off against the England national team. This game would end up seeing Diego Maradona score two of the most famous goals in the history of the game. 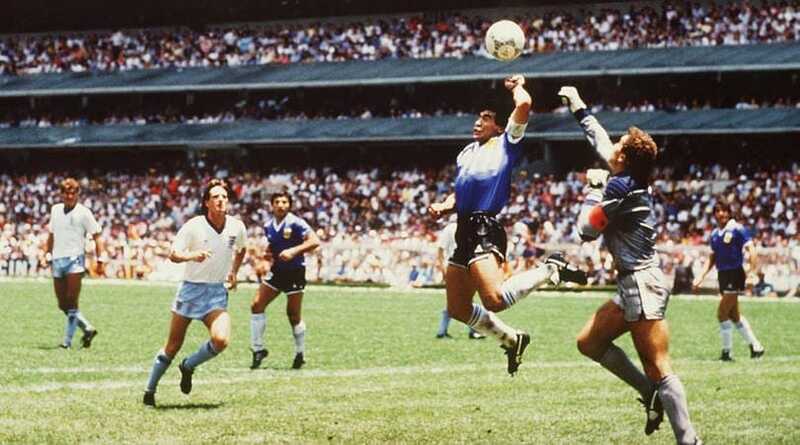 The first was dubbed the “Hand of God,” due to the fact that Maradona actually scored the goal with his hand, and the referee did not see the illegal play. The second goal symbolizes the greatness of Maradona, as he slalomed down the field past half of the England defenders, and then fooled the goalkeeper before kicking the ball into the net. 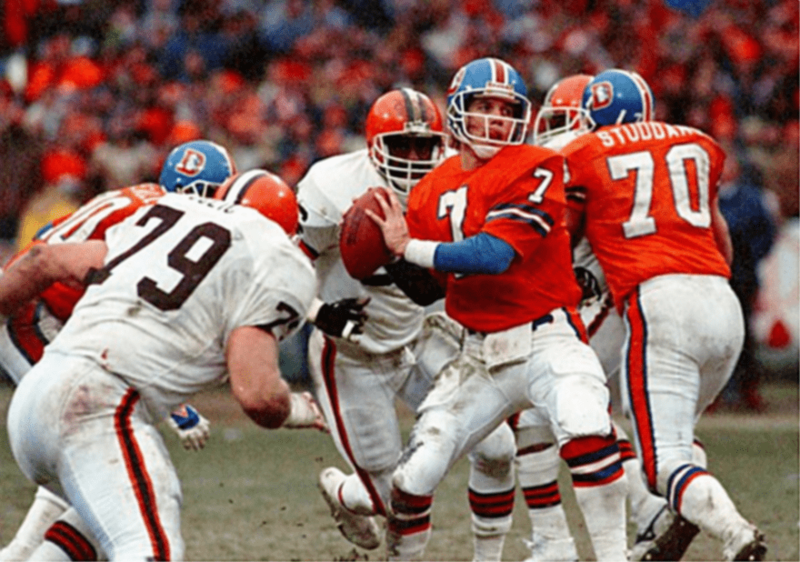 In the 1986 AFC Championship game, the Cleveland Browns played host to the Denver Broncos. After the Browns scored a touchdown to take a 20-13 lead, the Broncos muffed the subsequent kickoff, placing the ball at their own 2-yard line. With just 5:32 left to play, quarterback John Elway faced the daunting task of driving his team the length of the field in order to reach the coveted Super Bowl. Elway did just that, in a monumental drive, spanning 15 plays, and ultimately throwing the game-tying touchdown pass with just 32 seconds left in the game. The Broncos would go on to win in overtime, reaching their first ever Super Bowl with Elway at the helm. Arguably the most iconic moment in boxing history, the “Fight of the Century” refers to the first meeting between Joe Frazier and Muhammad Ali. The fight took place on March 7, 1971, at MSG in New York. After Ali had been banned from the sport for his refusal to join the military, Frazier became a rising force. When they met on this day, the two were both undefeated heavyweight champions, but something had to give. At the end of a grueling 15 rounds, Frazier won the fight with a unanimous decision. 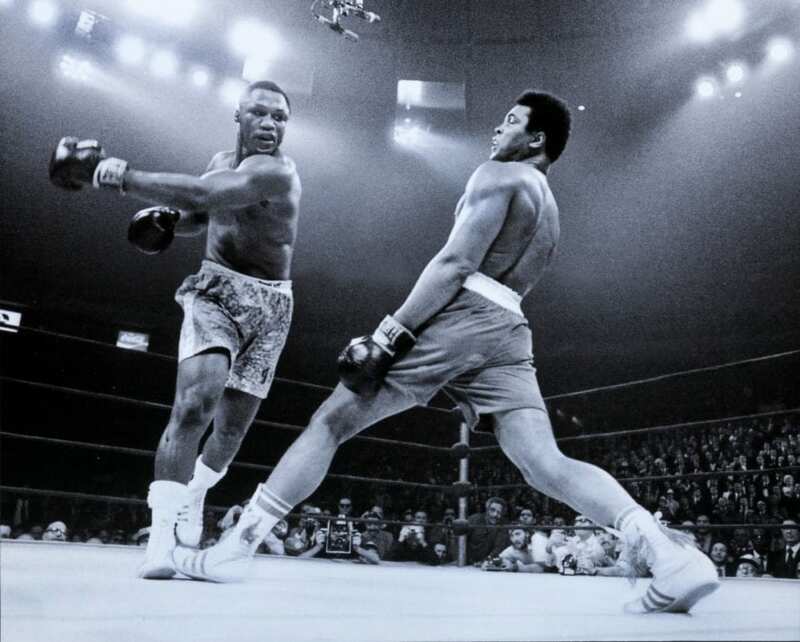 The fight between the two boxers was later replicated two more times, with Ali winning each of them. This was a monumental moment both from a sports and a cultural perspective. On April 15, 1947, Jackie Robinson was called up to play his first game in the major leagues, as a member of the Brooklyn Dodgers. 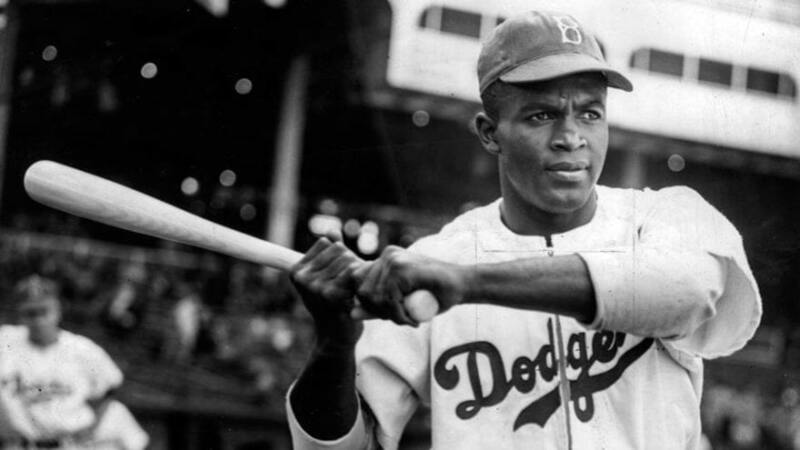 In the process, he broke the unspoken color barrier that had previously existed in baseball, as he was the first African American to ever play in the majors. Robinson opened the door for other African American players to join him, and it was a major deal across the country. The 1967 NFL Championship Game included some big-time names in the history of football, including iconic coaches on both sides – Packers’ Vince Lombardi and Cowboys’ Tom Landry. 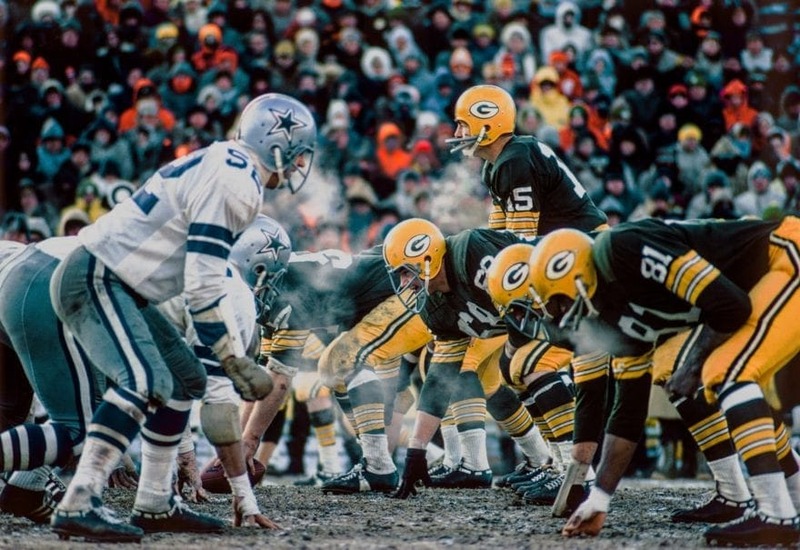 But this game was notorious for its extreme weather conditions, particularly for a championship game. On that day at Lambeau Field, the temperature was estimated at −15 °F (−26 °C). Moreover, the average wind chill of −48 °F (−44 °C) made things much worse than the thermometer showed. Of course, it helped that Packers legend Bart Starr won the game in dramatic fashion by scoring a touchdown with just 13 seconds left. 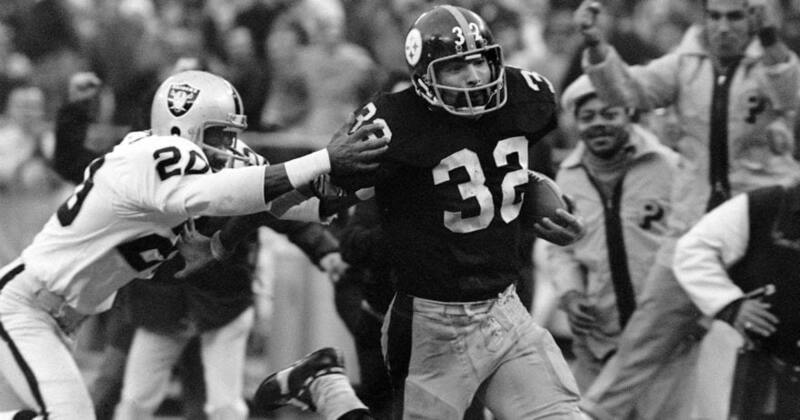 In the AFC Divisional round of the 1972 playoffs, the Pittsburgh Steelers faced the Oakland Raiders in a game that has been entrenched in NFL history. The Raiders had just scored a touchdown to take a 7-6 lead. On the following possession, Pittsburgh was facing a 4th and 10 with just 22 seconds left on the clock. Then Steelers quarterback Terry Bradshaw launched a deep pass from their own territory, and the pass deflected off a Raiders defender and into the hands of Franco Harris, who would take the ball all the way to the end zone to give the Steelers the huge playoff win. 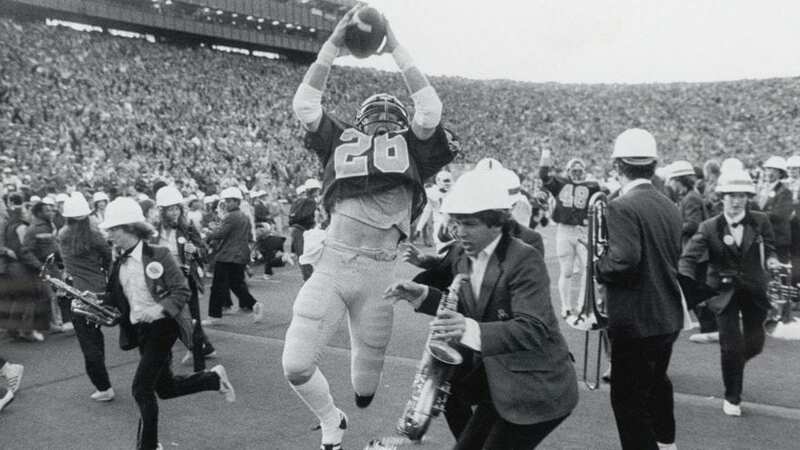 In November of 1980, Stanford and Cal faced off in a college football game for the ages. After Stanford took a 20-19 lead with seconds left on the clock, they kicked off to Cal, whose players lateralled backwards five times, on their way to an unbelievable and unforgettable touchdown to win the game. What made this play so incredible was the fact that Stanford’s marching band was already on the field in celebratory fashion, thinking the game was already over. But the Cal Bears had other plans, as their players maneuvered through members of the band on the way to the endzone. It’s only fitting that MJ’s last shot as a member of the Chicago Bulls would have such a big effect in the history of the game. In Game 6 of the 1998 NBA Finals, Jordan and the Bulls were on the road in Utah, trying to cap off their second three-peat of the decade. With under 19 seconds remaining, Jordan stole the ball from Karl Malone, and on the following possession the magic happened. 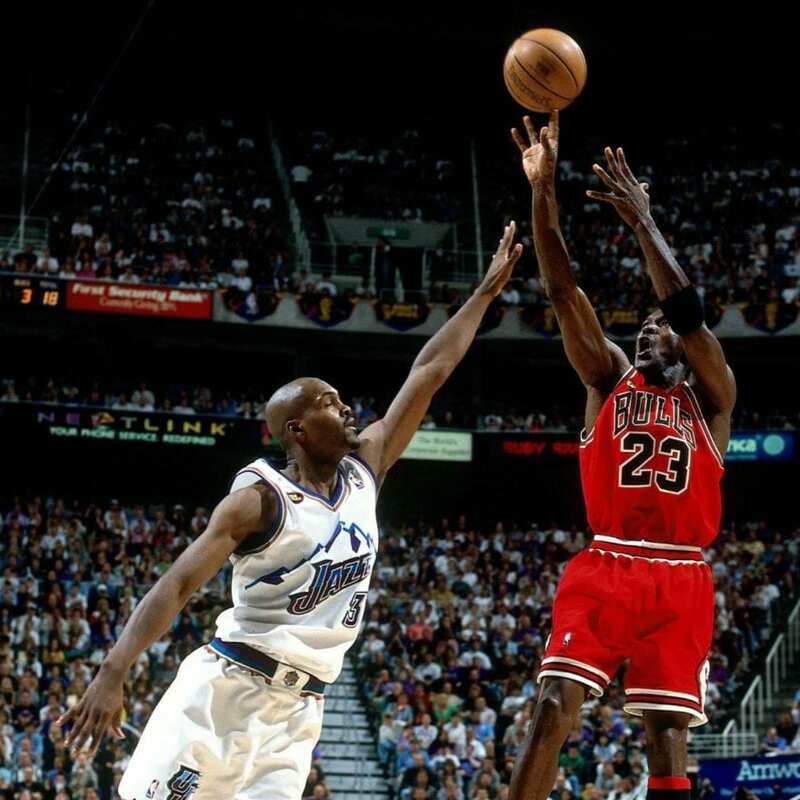 MJ drove right passed Bryon Russell, and crossed over back to the left, where he pulled up and drained the game winning 2-point jump shot with just 5.2 seconds left on the clock. It was a brilliant moment that capped off the era of the 1990s Bulls dynasty. It is every athlete’s dream to win a gold medal at the Olympic games. 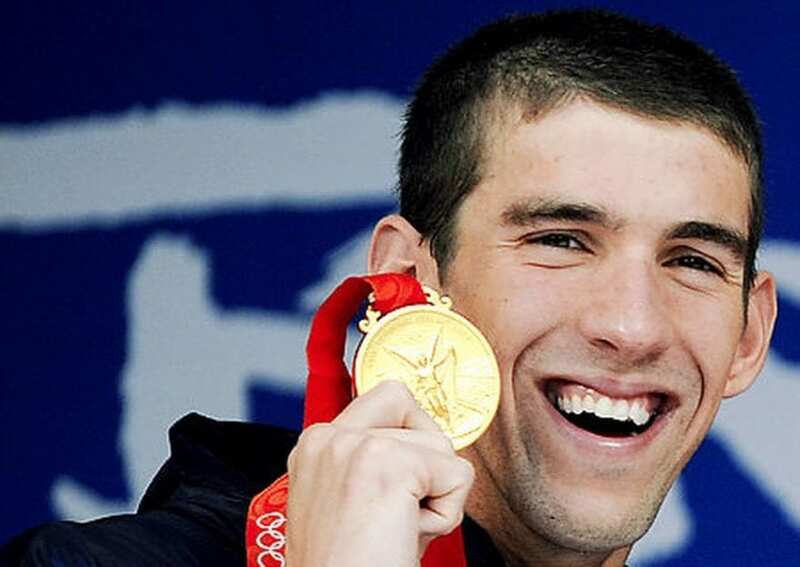 In the 2008 summer games in Beijing, Phelps was able to win eight gold medals. The feat helped him break the record that had previously been held by American swimmer Mark Spitz, who had seven gold medals in a single Olympics. In the process, Phelps set seven world records, showing that he is the greatest swimmer in the history of the sport. With all of the many accolades that Chamberlain achieved during his career, this is likely his most famous. 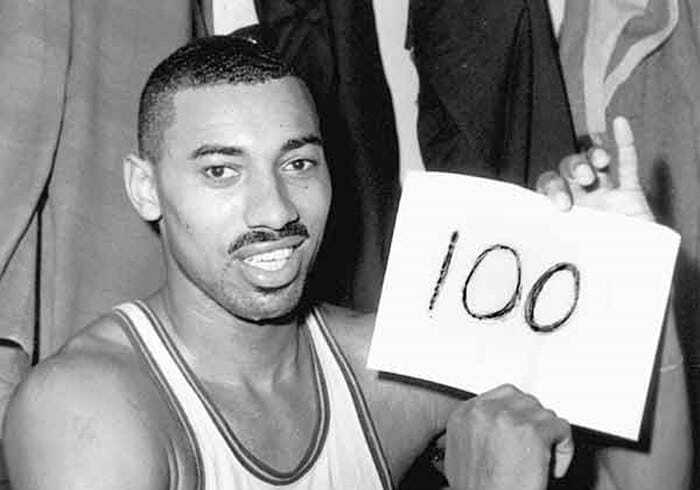 Wilt was known for scoring points in bundles, dominating the court seemingly every time he stepped on it. But he surpassed all expectations on March 2, 1962, scoring 100 points in a single game, a feat that to this day is simply hard to believe. While not for lack of trying by some of the greatest ever, many people believe that his record will never be broken. Michael Jordan hit many game winning shots over the course of his amazing career. But none were bigger than what has since been named “The Shot.” It was the deciding Game 5 of the opening round of the 1989 Eastern Conference, back when the first round was a best-of-5 series. With just three seconds left on the clock, Chicago was trailing the Cleveland Cavaliers 100-99. What would happen next would ignite the birth of a legend. MJ took the inbound pass, split the defenders toward the free throw line, and hung in the air long enough for a third Cavalier to pass by. The shot went through the net as the buzzer went off, crushing the championship hopes of Cleveland fans. 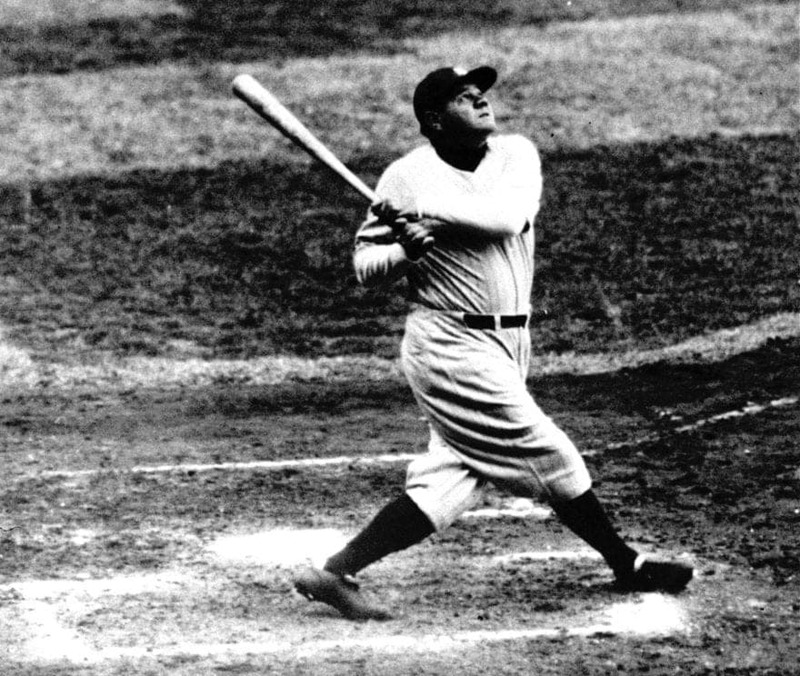 The 1932 World Series was the last of Babe Ruth’s career. In Game 3, he created one of the most iconic moments in all of sports. Ruth pointed at the stands located across center field, as if to gesture that’s where he would hit the ball. On the very next pitch, Ruth swung for the fences, and the rest is history. He called his own shot on the biggest stage in baseball, and he backed it up with a whopping home run that will remain entrenched as one of the greatest moments in the game’s glorious history. Amid the political tensions of the Cold War, the U.S. and USSR hockey teams faced off in the 1980 Winter Olympics. The latter was considered the clear favorites to bring home the gold, after having won five of the last six gold medals. But it was not to be. 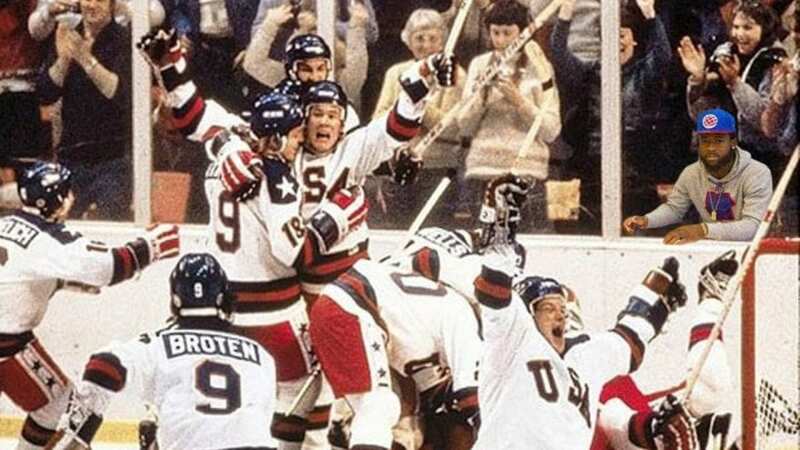 With the inexperienced U.S. national team trailing 3-2 heading into the third period, the “miracle” occurred, as they scored twice in the final frame to take down the Soviets with a score of 4-3.